Analysis of baseline attitudinal data gathered from a National Science Foundation Innovative Technology Experiences for Students and Teachers project uncovered large contrasts between the perceptions of practicing professionals and students toward science, technology, engineering, and mathematics (STEM) disciplines and careers (Tyler-Wood, Knezek, & Christensen, 2010). These findings have been reconfirmed in a second year analysis based on new data and are reported in this paper. The pattern of findings suggests that university teacher preparation candidates hold attitudes similar to middle school students, while the faculty (the educators of teacher preparation candidates) have attitudes similar to STEM education professionals. Additional findings based on disaggregated data are reported. For example, middle school students appear to have more positive perceptions of science, mathematics, and engineering than do the university preservice teachers surveyed, who are destined to be middle school teachers. Knezek, G., Christensen, R. & Tyler-Wood, T. (2011). Contrasts in Teacher and Student Perceptions of STEM Content and Careers. 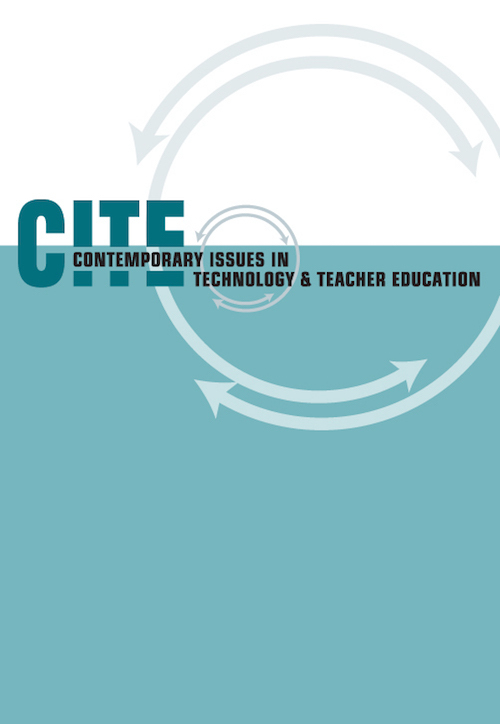 Contemporary Issues in Technology and Teacher Education, 11 (1), 92-117. Waynesville, NC USA: Society for Information Technology & Teacher Education. Retrieved April 21, 2019 from https://www.learntechlib.org/primary/p/35400/. Baram-Tsabari, A., Sethi, R.J., Bry, L. And Yarden, A. (2006), Using questions sent to an Ask-AScientist site to identify children's interests in science. Science Education, 90, 1050-1072. Betz, N.E. (1992). Career assessment: A review of critical issues. In S. Brown& R. Lent (Eds. ), Handbook of counseling psychology (2nd ed., pp. 453-484). New York, NY: John Wiley. Bialo, E.R., & Sivin-Kachala, J. (1996). The effectiveness of technology in schools: A summary of recent research. School Library Media Quarterly, 25(1), 51-57. Blickenstaff, J.C. (2005). Women and science careers: Leaky pipeline or gender filter? Gender and Education, 17(4), 369-386. Brown, R., & Campbell, M. (2009). Recent trends in preparing ethnic minorities for careers in mathematics. Journal of Hispanic Higher Education, 8(2), 225-241. Christensen, R. (2002). Impact of technology integration education on the attitudes of teachers and students. Journal of Research on Technology in Education, 34 (4), 411-434. Christensen, R., Knezek, G., & Overall, T. (2005). Transition points for the gender gap in computer enjoyment. Journal of Research on Technology in Education, 38(1), 23-37. Cooney, S., & Bottoms, G. (2003). Middle grades to high school: Mending a weak link (Report No. EA-032-691). Atlanta, GA: Southern Regional Education Board. (ERIC Document Reproduction Service No. ED 479 785). Crovrther, D., & Bonnstetter, R. (1997, March). Science experiences and attitudes of elementary education majors as they experience an alternative content biology course: A multiple case study and substantive theory. 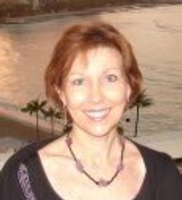 Paper presented at the 70th annual meeting of the National Association for Research in Science Teaching, Oak Brook, IL. Fulp, S. (2002, December). 2000 National survey of science and mathematics education: Status of elementary school science teaching. Chapel Hill, NC: Horizon Research, Inc.
Hamilton, C. (2001, July). Math and science illiteracy in the news. ENC Focus, 8(3), 50-51. Hecker, D.E. (2004). Occupational employment projections to 2012. Monthly Labor Review, 127, 80-105. Hurley, D., & Thorp, J. (2002). Decisions without direction: Career guidance and decision-making among American youth. Washington, DC: National Association of Manufacturers. Knezek, G., & Christensen, R. (1995). Administration guidelines for the Computer Attitude Questionnaire. Denton, TX: University of North Texas. Knezek, G., Christensen, R., Miyashita, K., & Ropp, M. (2000). Instruments for assessing educator progress in technology integration. Denton, TX: Institute for the Integration of Technology into Teaching& Learning. Koballa, J., & Crawley, F. (1985). The influence of attitude on science and learning. School Science and Mathematics, 85(3), 222-232. Lacey, T.A. & Wright, B. (2009, November). Occupational employment projections to 2018. Monthly Labor Review, 82-123. National Science Board. (2003). The science and engineering workforce: Realizing America’s potential. Arlington, VA: National Science Foundation. Osgood, C.E. (1962). Studies of the generality of affective meaning systems. American Psychologist, 17, 10-28. Osgood, C.E., Suci, G.J., & Tannenbaum, P.H. (1957). The measurement of meaning. Urbana, IL: University of Illinois Press. Ross, J.P., & Meier, A. (2000, September). Whole-house measurements of standby power consumption. In Proceedings of the Second International Conference on Energy Efficiency in Household Appliances, Naples, Italy. Van Langen, A., Bosker, R., & Dekkers, H. (2006). Exploring cross-national differences in gender gaps in education. Educational Research and Evaluation, 12(2), 155-177. Watters, J., Ginns, I., Enochs, L., & Asoko, H. (1995). Science teaching self-efficacy of preservice primary teachers: A review of research in three countries. Paper presented the annual conference of the Australian Association for Research in Education Conference, Hobart, Tasmania. Weinburgh, M.H. (1995). Gender differences in student attitudes toward science: A meta-analysis of the literature from 1970-1991. Journal of Research in Science Teaching, 32(4), 387-398. Zaichkowsky, J.L. (1985). Measuring the involvement construct. Journal of Consumer Research, 12(3), 341-352.